“GO! 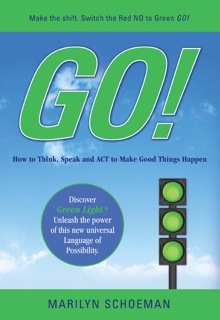 How to Think, Speak and ACT to Make Good Things Happen”, equips you to take specific conscious, constructive ACTION – to go the Green Light Way. Your brain loves it. If you are ready for more success and contentment in your life, proceed. Discover how to avoid Red Lights in your life and get more Green ones. Marilyn Schoeman, an author, keynote speaker, inventor, coach, and business/creativity consultant, creates tools and techniques to expand people’s creativity, success and satisfaction in life. From presentations on leadership, change, marketing and innovation to health and well-being, audiences apply her ideas across the board. For over 30 years Marilyn has helped thousands of people in the U.S. and abroad unleash their creative capacity and transform their lives. GO-power! A quantum leap ahead, Green Light® improves everything! Discover the new breakthrough Language of Possibility – how to think, speak and ACT to make good things happen. Create the greatest good, for the most people, in the best way, for the longest time. 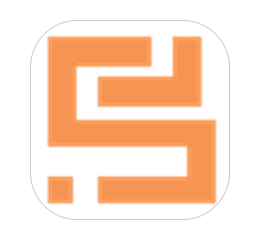 Download your FREE APP soon at the Apple & Android stores! 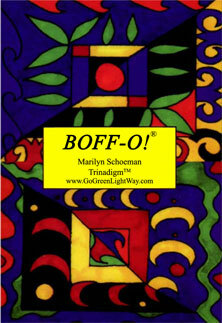 BOFF-O!® (Brain On Fast Forward), the board game! Trinadigm™: noun. A new word coined to convey a new tool, Green Light. It refers to a powerful, conscious way of thinking, of viewpoint. It affects everything; a degree of magnitude far beyond the idea of a paradigm shift. Green Light is a mind shift, a new way of seeing, a new way of living; a new universal language enhancing one’s conscious choice of thought, word and action. Subtle yet profound, it permeates and enriches all aspects of your life.